I'm trying to transform lines into polygons with the attributes. The lines are from a dwg file. I tried to use "feature to polygons" but doesn't preserve the attribute. I tries to transform lines to points and than use them in the "feature to polygons"... still doesn't preserve the attributes. Exporteren naar shapefile en vervolgens naar featureclass? Not the answer you're looking for? Browse other questions tagged arcgis-10.3 fields-attributes polygon-creation dwg or ask your own question. 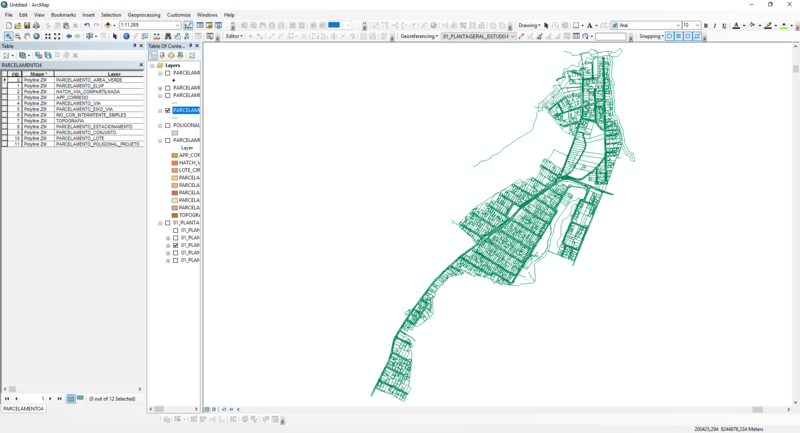 Creating polygon with attributes using ArcGIS Desktop? Create polygon symbology from attribute? 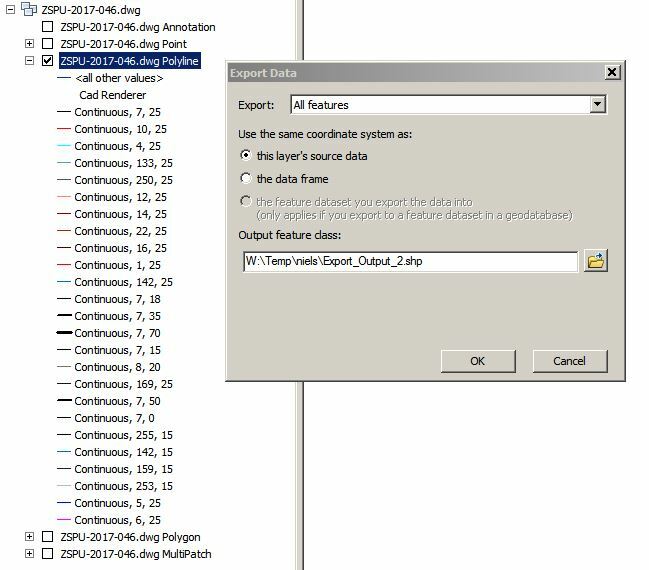 Mapping attributes from input shapefile to output CAD file using FME?